cott Zhang’s 28-year career at Honeywell hinged on an urgent, radical decision. It was 1990, and Zhang had just wrapped up his master’s degree in mechanical engineering at Illinois Tech. He had completed a three-month internship at Honeywell subsidiary Universal Oil Products in Des Plaines, Illinois, and loved it, but there was a serious problem: In order to pursue a career at UOP, he would need to drop mechanical engineering, the discipline to which he had just devoted six years of study, and instead become a chemical engineer. No problem, Zhang figured. He left the doctoral program he’d enrolled in and earned his Ph.D. in chemical engineering, while also working part-time at UOP. He has never looked back. Much of that time Zhang (M.S. MAE ’89, Ph.D. CHE ’92) spent working in Beijing as a chief representative with UOP. 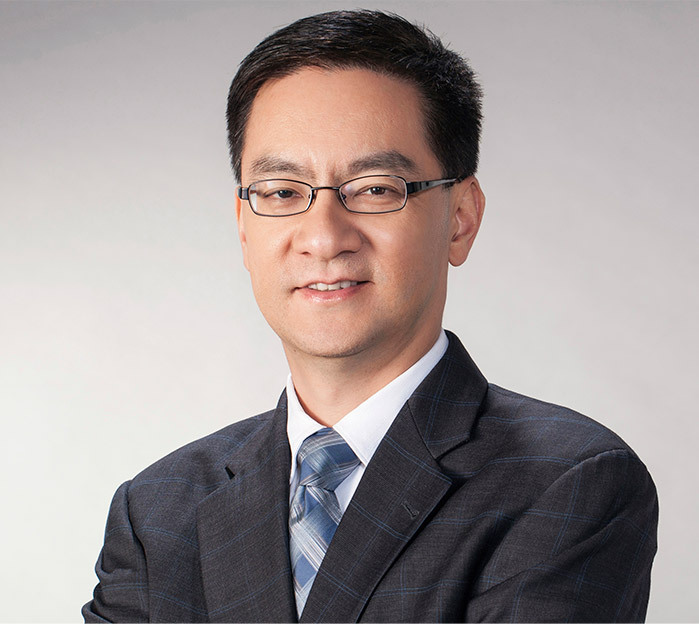 A Shanghai native, he helped to spur tenfold growth in six years in China for UOP in the 2000s, a performance that ultimately earned him his next role as vice president and general manager of Performance Materials and Technologies, Asia. Since 2015 he’s been president of Honeywell Technology Solutions (HTS), the corporation’s technology research-and-development and engineering division. In this role, Zhang is able to combine his engineering acumen and R&D experience with his sales and management expertise to push HTS toward next-generation innovation. HTS has more than 9,500 employees—most of them engineers—based in India, China, Mexico, and the Czech Republic. “I’m in a perfect position to lead an engineering organization because I do have that background, but I can take a lot of the skills I’ve learned from the business community and apply them back to engineering management and back to innovation,” says Zhang. At HTS, Zhang has done just that. One example is the Air Touch, an air purifier initially marketed in China, where air pollution is a major concern. The Air Touch is a consumer product that makes use of some of Honeywell’s R&D expertise in industries that are very much nonconsumer—it integrated Honeywell’s technology strengths in materials science, aerodynamics, sensing and controls, human factors, and software to quickly design and manufacture the first local-born commercial air purifier. The result is a lightweight, polycarbonate purifier with multiple subfilters that excels at quickly converting toxic environments into healthy, breathable spaces. “We saw an excellent opportunity to solve an important human problem, as well as a business opportunity,” says Zhang. After a successful launch in China, Air Touch is now sold in additional regions such as India, Russia, and the Middle East. 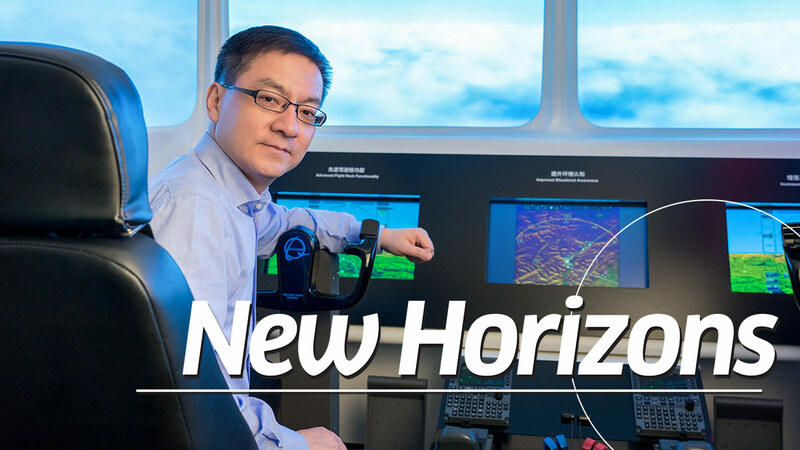 Zhang’s combination of marketing savvy and engineering know-how has endeared him to Honeywell’s leadership. Zhang enjoys traveling—and it’s a good thing, considering he spends more than half the year on the road, away from his wife and 6-year-old daughter in Shanghai. That’s the nature of overseeing HTS’s four, far-flung tech centers overseas as well as making regular visits to Honeywell’s New Jersey headquarters. He’s also very involved with Honeywell’s university outreach programs, particularly in China, India, Mexico, and the Czech Republic, the countries where HTS tech centers are located. The cornerstone of these efforts is the Honeywell Initiative for Science and Engineering. Visiting Nobel laureates spend time interacting with university students—lecturing, providing counsel to them on their projects, giving career talks, and answering questions as a way to engage students. Those campus visits remind Zhang of his own educational experience, one that began with an undergraduate degree from Shanghai Jiao Tong University in 1982 and culminated in a recruiting visit from Illinois Tech mechanical engineering professor and solar-energy pioneer Zalman Lavan (M.S. ME ’62, Ph.D. ’65). Lavan encouraged Zhang to come to Chicago, a decision that appealed to Zhang as a budding academic as well as a basketball fan. While at the university, Zhang frequented the United Center, where he would buy cheap seats to catch a glimpse of Michael Jordan in action. Decades later, he remains a Bulls fan and considers Chicago to be his second home. He feels similarly about his alma mater, Illinois Tech. “IIT is always near to my heart. It was my starting point, the place where I learned the fundamentals,” Zhang says. Three decades after he arrived on campus, Zhang continues to put those fundamentals to use—on a global scale.